We don’t literally mean spit it out, whatever it may be. In fact, it’s never really polite to spit in public (or while reading blogs online). What we really mean is that despite how gross spit may seem, it’s actually some pretty cool stuff. All of us at my dental office in Douglasville want to ‘spit out’ some of the top fun facts we know about saliva. Yes, spit can be gross, but it can also be extremely helpful at keeping your mouth healthy and cavity free. Another thing that helps with both? Regular visits to my Douglasville dental office. If it’s been awhile since you’ve seen a dentist, give us call! We welcome you, and your spit (it is part of what we do), any time! Serving patients from Douglasville, Lithia Springs, Villa Ricca, and surrounding areas. A common misconception is that as we age, we must lose our natural teeth. That’s not necessarily always true. With a lifetime of proper oral hygiene and regular dental visits to my Douglasville dental office, it’s possible to keep your teeth for your whole life. 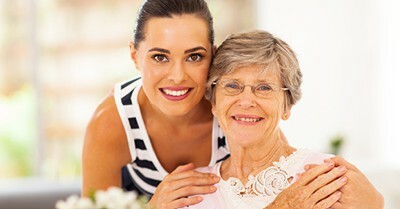 However dental care for seniors becomes particularly important. People of all ages are at risk for developing gum disease; however, by age 65, 1 in every 4 will have this dangerous disease. While it is treatable, it’s important to catch it early before it has a chance to affect the rest of the body. This makes regular visits to your dentist in Douglasville extremely important, especially for our senior citizens. Your mouth is directly linked with the rest of your body. If you want to keep your body in tip-top shape, you need to take care of your mouth. Additionally, it’s incredibly important to let your dentist in Douglasville know of any health conditions you may have, including, but not limited to, diabetes, cancer, and heart disease, as these can all affect your oral health and will dictate the path of treatment most appropriate to you. We always encourage you to maintain proper oral hygiene and keep up with regular dental appointments for optimal overall health, especially as you age. Seniors are important individuals to all of us here at my dental office in Douglasville, and we love to care for some of the most special smiles.